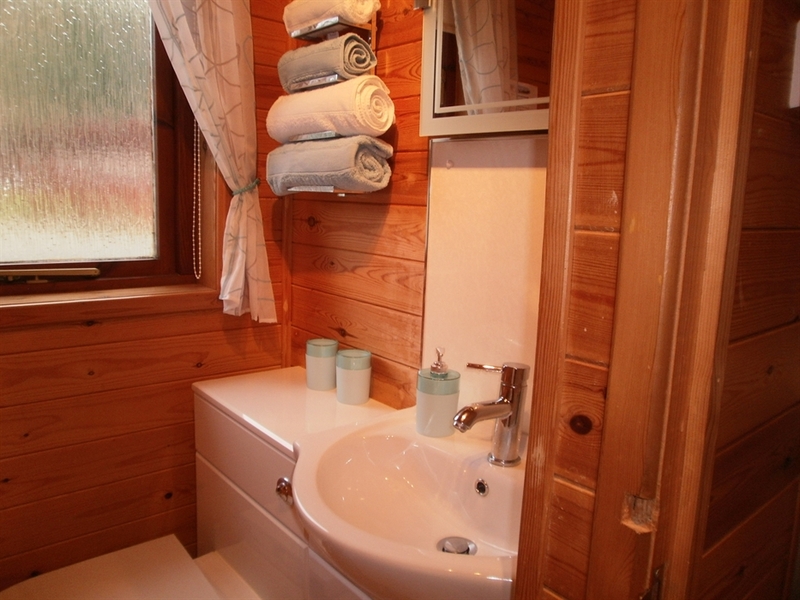 This log cabin can sleep up to eight and consists of kitchen/dining/ livingroom, with double sofa bed, one double bedroom with en-suite, two twin bedded rooms and bathroom. There is parking for up to 4 cars outside. All bed linen and towels are supplied but you may want to bring your own beach towels. Price also includes all gas and electricity costs. There is a large decking area with table and chairs and a bar-be-que for your use just supply your own charcoal. Number 19 is a Midge '` Free Zone Midge magnet machine now installed to make your holiday more enjoyable! The lounge comes equipped with satellite TV, DVD with home cinema surround sound, ipod docking station and games console, It is heated by gas fire and has a two seater and single seater leather suite and 3 seater leather bed settee. The kitchen comes equipped with fridge / freezer, dishwasher, washing machine, tumble dryer, oven, grill and hob, microwave, coffee machine. After a long journey enjoy arriving at Loch Lomond Chalet where you will be greeted with fresh flowers, chocolates and a welcome bottle of wine. There is a hotel which serves meals all day until 9.00pm on the complex. Enjoy a well-earned holiday in luxury accommodation on the banks of Loch Lomond. Rowardennan is situated at the foot of Ben Lomond on the east shores of Loch Lomond 10 miles north of Drymen. There are many interesting walkways nearby, within the Queen Elizabeth Forest Park and the West Highland Way route passes the lodge grounds. There are very many interesting places just a short drive away such as Aberfoyle, Callendar and the Trossachs and the Loch Lomond Shores complex at Balloch. There is a hotel situated nearby which offers bars lunches throughout the day until 9.00 pm. 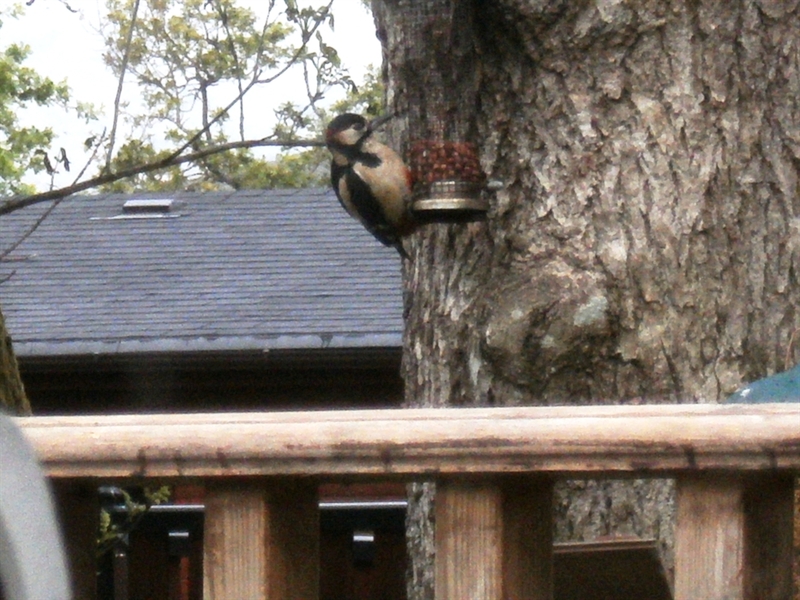 The nearest shopping is at the villiage store in Balmaha 6 miles away. There is a Spar at Drymen 10 miles away and the nearest supermarket is Co-op at Balloch 16 miles away. Asda, Tesco and Sainsbury's all deliver internet shopping to the site. 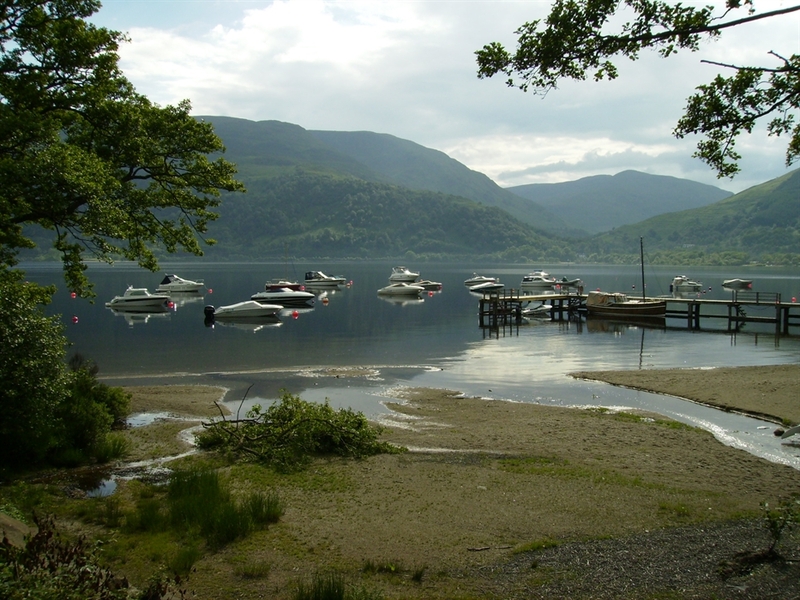 Fishing, Golfing, Water ski-ing, canoeing and all water sports can be enjoyed on the Loch but if you are bringing your own boat remember to register it at the visitor centre at Milarochy Bay before putting it in the water. Small boats may be hired at MacFarlane's Boatyard at Balmaha.